Gone are the days when rains meant you had to wear your old, worn out shoes to save that designer, leather number you have, for the rest of the year. Today, rain means buying new footwear, meant especially for the season. So you could splash around playfully with friends without your conscience crying for your ‘sole’. This season monsoon footwear is most trendy and stylish. From colourful Hawaianas to Crocs they have captured the market. 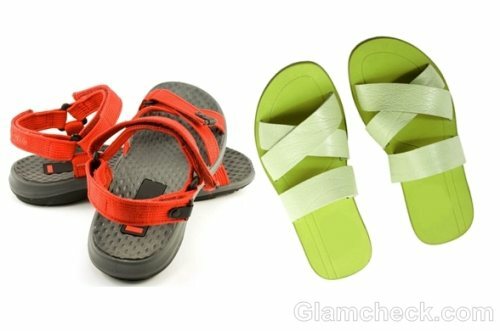 You can choose from flip-flops, strappy sandals, gum boots, loafers and ballet-pumps. There are brands specially dedicated to washable and water proof monsoon footwear. Brands like Havaianas, Animal, Fit Flops, Billabong, Reef and Roxy come highly recommended for flip-flops. 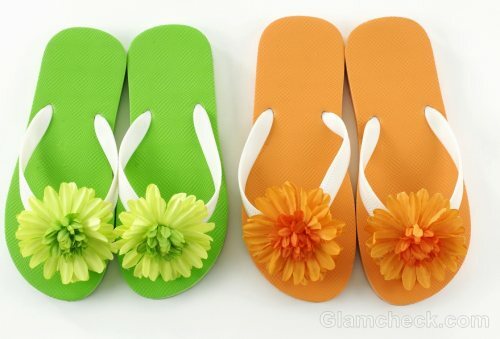 These brands specialise in making different types, colours and styles of monsoon slippers. Team your bright neon pair of flip-flops with a short skirt or Capri for that effortless chic look. Strappy sandals are very versatile. You could wear them for a day out with friends or for an official meeting with your bosses. 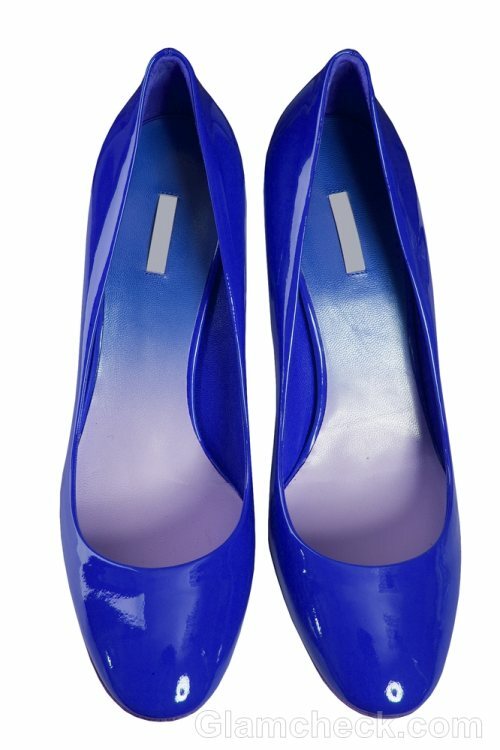 These monsoon footwear mostly have PVC or PU soles and are washable. They don’t give way like your other strappy sandals would in the rain. Available in variety of styles and colours, some on my favourites are the transparent straps with hints of sparkle. 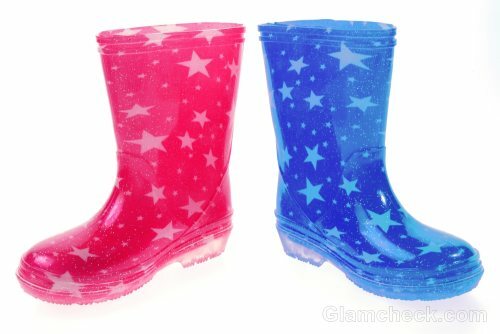 Gumboot or rain boot can really add glamour to your rainy day clothing. It induces instant panache to the outfit and brings a splash of colour to a gloomy day. They are most knee-length, washable, water-proof and safe. Wet feet can be a reason for many fungal infections. These boots promise to keep you safe and fashionable this monsoon. 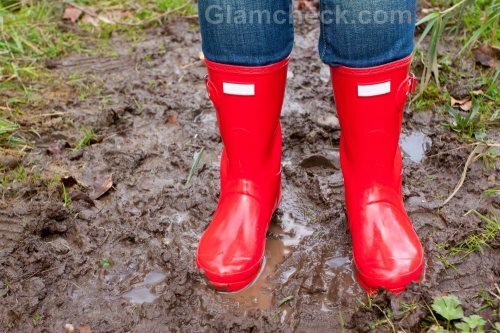 Some very popular brands for gumboots are Rockport, Kamik and Hunter rain boots. Crocs keep your feet covered, though, they have tiny holes so as to not allow the water be trapped in your shoe and cause infection. They have space for air and let your skin breathe. Crocs are the best example of such monsoon footwear that is very comfortable to wear in the rain when you may have to walk in ankle deep water. Ballet pumps are similar to regular pumps, though, they are more feminine to look at and very fancy too. They look exactly like regular pumps except they are made of washable and water proof materials like rubber, plastic or PU. 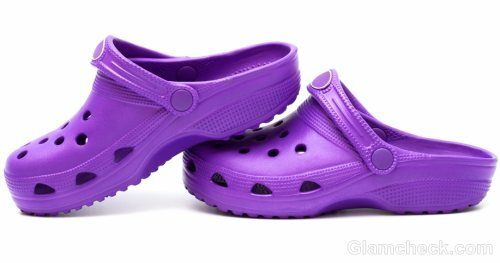 They too, like the crocs, have tiny breathable holes that help in drying your foot faster. They come in very bright and beautiful colors and shapes. With the right kind of footwear combined with proper monsoon feet care, can get you the most of out monsoon season. So next time you are out in the rain feel free to plash water on your friends and let the water-games begin! !